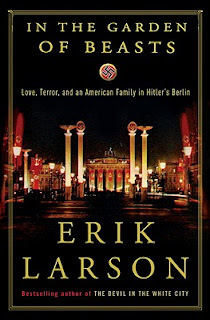 Book Passage contributing blogger Zack Ruskin interviewed Erik Larson, author of In the Garden of Beasts: Love, Terror, and an American Family in Hitler's Berlin ($26.00). 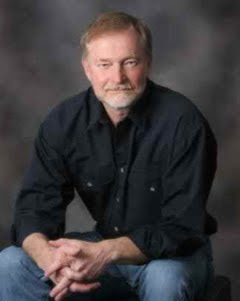 Larson will be appearing at Book Passage in Corte Madera on Tuesday, June 7 at 1:00 pm. Zack Ruskin: While your books are clearly rooted in elaborate research, do you also notice the narratives of the characters you trace transcending their historical context? Do you often find parallels between figures like William E. Dodd and modern equivalents? Erik Larson: Interesting question. I certainly did not choose these characters because of any contemporary resonance, though a good many readers, at both ends of the political spectrum, seem to feel such a resonance. If there's any deeper message in the book, it's encapsulated in a little treat I've left at the very end, after the index—a kind of counter-epigraph for die-hard readers. Since I'm no fan of spoilers, I'd rather not reveal its nature, in favor of readers stumbling across it by accident. ZR: In your introduction to In the Garden of Beasts, you note how easy it is to examine Dodd’s failures to stop Hitler and the Third Reich in hindsight, and encourage your readers to adopt the POV of someone who did not know what would eventually unfold. In writing this book, how did you maintain your objectivity while still guiding the narrative towards the inevitable facts surrounding Dodd’s actions? EL: I did have to remind myself constantly to watch for things that might slip into the narrative that only hindsight has taught us. For example, nowhere do I mention a "World War I," because in 1933-34, of course, there had not yet been a second world war. I took great pains to refer to the first world war as the "past war" or the "Great War." A small thing, but it's one example of how to keep the POV from contamination. ZR: Your bibliography is rich with people and events lost in the annals of history. As the world’s news becomes ever more instant with the internet and rapid coverage, do you think the next generation of Erik Larsons will be able to find untold stories from the past, or will technology obligate your genre to adapt? EL: I think the resources available to people will be different, but not necessarily less rich than what one can draw on today when writing about an event in the 19th century. I'm told, for example, that Twitter has given a vast record of Tweets to the national archives. Imagine someone in the future writing, say, a book about the recent spate of tornadoes and using the flow of Tweets to capture a powerful sense of immediacy—far more immediate than the telegrams that one would draw on if writing about a similar event that occurred one hundred years ago. ZR: What is your process for distilling all the research you have on a given subject into the actual prose that becomes your book? Is it ever the case that there is a second book’s worth of research left in the wake of your final product? EL: Got a few hours? The second question is easy: No. I pack a book with as much good stuff as I can, and what's left is just bits and pieces that might make interesting stories for my source notes, but would not sustain a fresh narrative. But back to the first question: The main thing I do is build a chronology, because chronological order is the most powerful tool of story-telling. I assign every worthy fact to a particular date, sometimes even a particular hour, so that by the time I'm ready to write I have a long 80 to 100-page de facto outline of the book, with each fact coded in such a way that I can readily find it in my stacks of documents. There's a lot more to it, but that's my main weapon. ZR: Your books tend to find their setting around the turn of the 20th century. Have you ever been tempted to write a book set deeper in the past, or on the opposite end of the spectrum, one based on current affairs? EL: My first two books were on "current" topics, one (The Naked Consumer) about how companies spy on consumers, the other (Lethal Passage) about America's gun culture, but I prefer writing about the past. I love the surprise of delving into things that once were a big deal but have for one reason or another been forgotten. That's not to say that I wouldn't ever do a contemporary work again, just that it would have to be something with a powerful personal tie, or something so quirky that I simply could not resist. ZR: In the Garden of Beasts looks at WWII from an angle that I feel is underrepresented in the vast canon of non-fiction on the subject, which is America’s lack of involvement at the outset of Hitler’s actions. Was your motivation to write Beasts based on an interest in this angle, or did you come into the research a different way? ZR: What non-fiction have you read lately that readers of your work should look forward to once they’ve finished In the Garden of Beasts? EL: I always steer readers to some of my most favorite non-fiction books, in particular Barbara Tuchman's The Guns of August and Truman Capote's In Cold Blood. ZR: Have new facts ever come to light in the wake of one of your books being published that in some capacity changed the context of your work? I imagine there must be some stress that comes with producing what will be considered a definitive record of certain people and events, even if you don’t claim your books to be such. EL: But that's just it—I don't pretend to produce the definitive account of anything. My histories are intimate histories, thin-slice sagas, that ideally convey a larger sense of a time and place. My goal is not so much to inform, but rather to create a historical experience. I like the idea of readers emerging from my books feeling as though they had lived, if only for a moment, in that past time. Obviously whole volumes—multiple-volume works—could be, and have been, and will be done about the Nazi era, but my goal was a more modest one, just to try to evoke for readers a sense of what those early days of Hitler's rule were like. ZR: When writing about the Chicago’s World Fair, or 1930’s Berlin, do you ever travel to the geographic settings of your books, or do photos and written accounts usually provide sufficient details? EL: Good lord—the travel is half the fun! I traveled to Berlin, and found it a delight, and learned subtle little things that I never would have discovered had I not gone to the city in person—for example, just the fact that all the major places in the book are all within walking distance of each other. For some reason, that was a very important discovery. And by the way, I realized how much I love German food, especially on a cold winter day. And German beer, of course. ZR: The rumor mill tells me that Leonard DiCaprio bought the rights to The Devil in the White City, and that he will play the role of serial killer H.H. Holmes. It seems rather daunting to compress such an immense story into two or three hours. Are you excited for a big screen adaptation of your book? Any chance you’ll work on the screenplay? EL: The rumor is correct. A lot has to happen before a movie appears of course, but DiCaprio apparently does want to play the role of Holmes. I'm delighted that his company and the folks at Double Feature Films bought the rights. I wish them well. But I don't want any part in the creation of the movie. It's not my territory. I'd love to visit the set, however, and believe me my daughters would love to come with me.